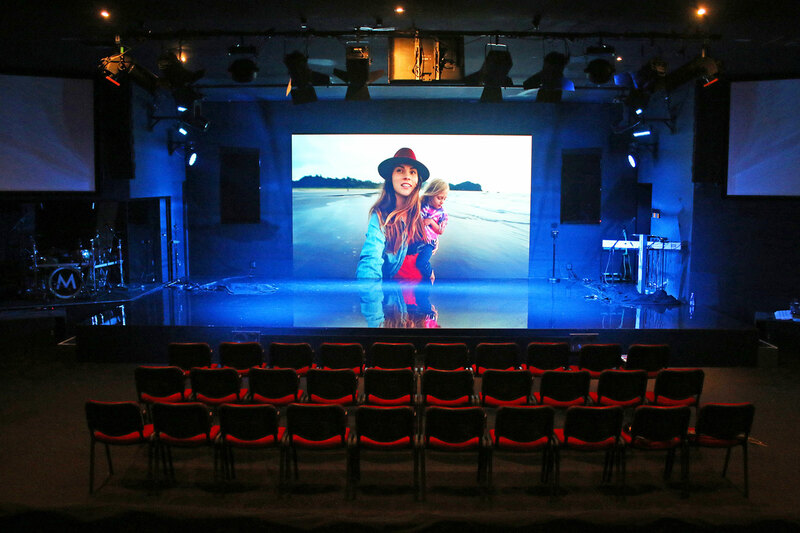 METRO Church, located on the Gold Coast, has scored a brand new VuePix Infiled QE Series screen, which they actively use now during their worship sessions. METRO Church is a fresh and ‘ultra-relevant’ Pentecostal church affiliated with Australian Christian Churches, with four campuses across south east Queensland. The HQ is run by senior pastors Garry and Kasey McDonald, who engaged Captive AV productions as their in-house audio-visual partners. 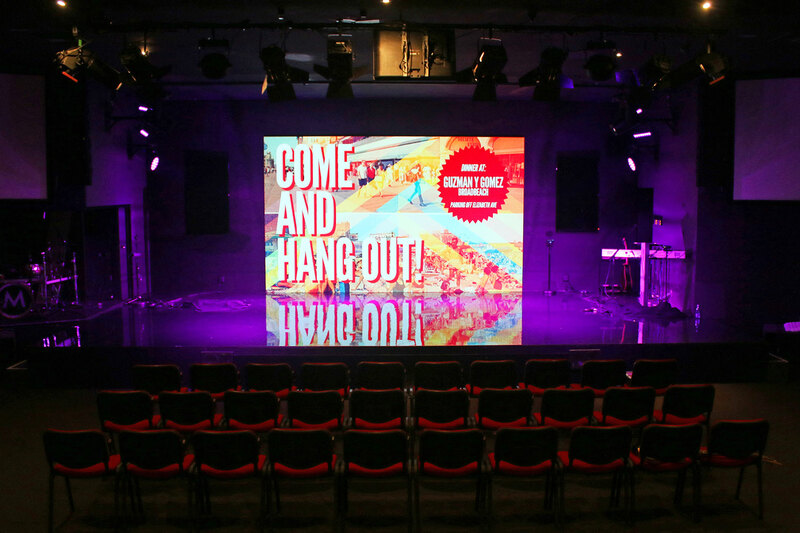 Russell Baker from AV productions came up with the concept of incorporating a LED video wall into the church’s productions, which are very popular not only for the different ministries they run on the weekends, but also within their internet based ‘Connect Groups’. The chosen technology – VuePix QE3.9mm screen perfectly fits the purpose of semi-permanent installation, giving the production team a possibility for different screen configurations, keeping their ministries fresh and exciting each time. VuePix Infiled team worked closely with Russell to deliver the best solution for the venue. The chosen technology – VuePix Infiled QE3.9mm screen – perfectly fits the purpose of semi-permanent installation and gives the production team a possibility for different screen configurations, keeping their ministries fresh and exciting each time. Set up as 5m wide and 3m tall screen for their first worships, the screen features high brightness LEDs, delivering a great visual performance in any light condition. A high refresh rate was also crucial for this installation, making sure that the screen doesn’t interfere with the video equipment used to record the ministries. The clip on front mask protect the panels from damage. Prior to its official launch, METRO began as a Bible study in a coffee shop. The preliminary meetings quickly outgrew the premises and METRO has quickly grown, launching their first official site in March 2006. Almost 4,000 people attended the event, which included a concert featuring Australian Idol winner Guy Sebastian. 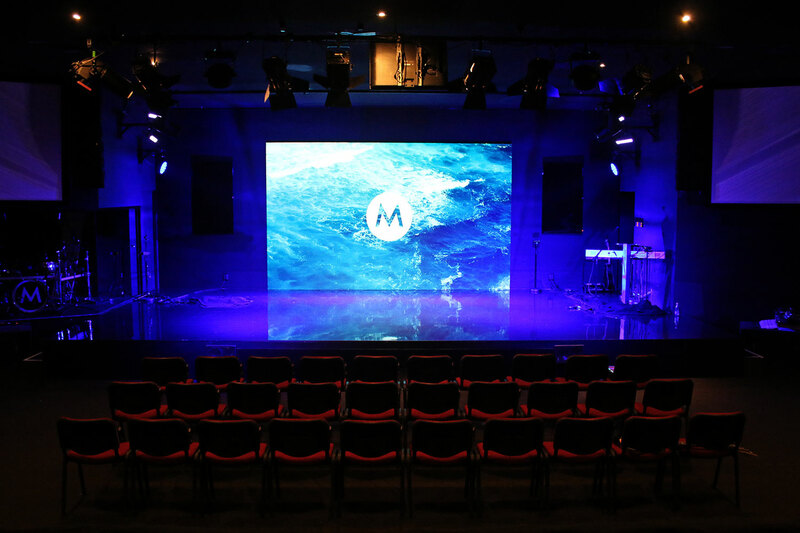 METRO has now a congregation of over 1,000 people in regular attendance and runs many different ministries and programs, including ‘KidZone’, ‘Revolution Youth’ and ‘Edge Young Adults’. All the messages and ministries are recorded live and streamed to the ‘Connect Groups’ through Metro TV.